Attendees enjoyed a great lunch of burgers, beans, chips, and desserts. 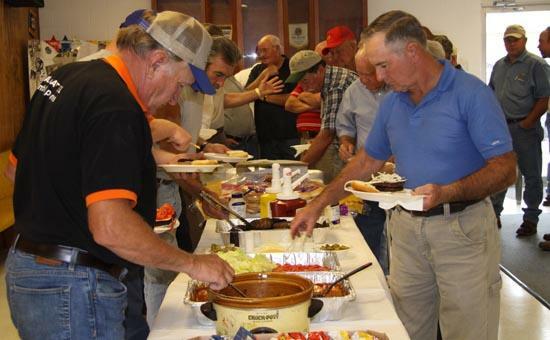 Beef producers met Thursday at the Woodbury Lions Club to eat lunch and hear from several speakers. The keynote speech was given by David Trowbridge on the topic "What to Expect from a Custom Feedlot When Retaining Ownership."